Another in the series of excellent "comeback" albums of funky soul merged with occasional rock-ish guitar that The Isley Brothers gave us in the mid-seventies. 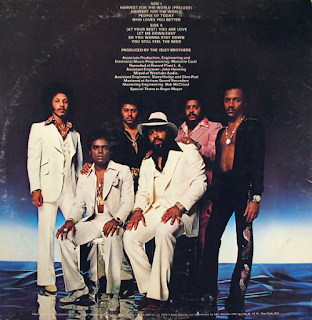 This is very much an album of two halves - lively, upbeat disco-ish funk to begin with, then on to sublime soul ballads, ending with a bit more funk. The title track is an energising, effervescent and wonderfully infectious number, full of melody and great hooks. It was one of the group's biggest hits and still gets regular airtime today. Its prelude uses the "gather every man" line in a slow, soulful build up before launching into the familiar strains of the song. It has a nice deep bass line in the background. The vocal harmonies as the song progresses are sublime. "People Of Today" is a chunky, clavinet-driven funker. So funky it hurts. 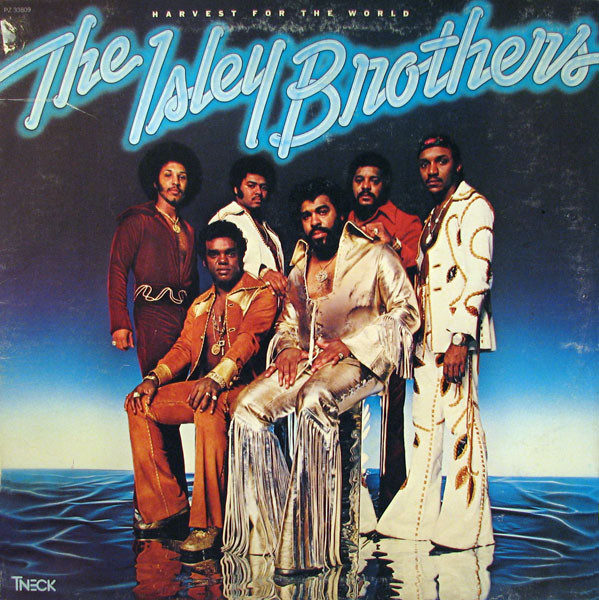 It is often forgotten that The Isley Brothers could funk it. "Who Loves You Better" was the album's first single release. It captures the disco-ish ambience of the age in an upbeat disco-funk number with some use of that old faithful "That Lady" buzzy guitar too. There are some great guitar riffs towards the end. The old "side two" begins with a bit of Harold Melvin-esque soul smooching on "(At Your Best) You Are Love". As well as funkin' out, the brothers could lay down a bit of sweet soul too. Lovely bass line on it too. This is classic mid-seventies soul fare. The late night vibe continues on the sumptuous, slow pace of "Let Me Down Easy". The tempo ups again for the lively, rhythmic soul of "So You Wanna Stay Down". "You Still Feel The Need" is a slow chugger of a track with another killer funk riff. The remastered sound is pretty good, but not quite as great as some have suggested. There is a tiny bit of muffling, for me. That is a very minor gripe, though. This is still a good seventies soul album.